Circa helps you keep time across multiple locations and time zones. Find the best times to connect and quickly create meeting invitations that work for everyone. Circa keeps teams in sync across multiple locations. Fixes issue with daylight saving—summer time not being updated for US/Europe when selecting future date. Just downloaded per recommendation of YTer Daily Tekk. Beautiful app. Tempted to stare at it all day. Love the functionality of being able to sort the times as well as see the semi-circles of “office hours” change from city to city as I scroll up and down the list while my current location remains constant on the screen. Is the app optimized for iPhone X? If I have to ask, maybe it doesn’t matter that much. Lol! Great app. Clean design. Just two features/options would make this even better (1) be able use custom labels against the cities (i.e. team names and their respective cities/office hours) which would allow to layer multiple teams even within the same city and (2) customise the color. This would make this the perfect meeting facilator for global projects and teams. 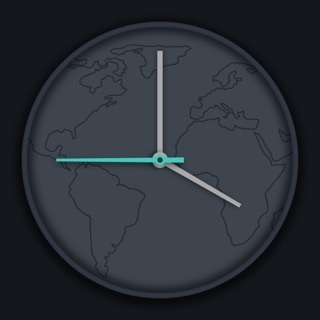 Tired of standard international clock apps? Anyone can tell me what time it is NOW, but what time WILL it be there, when I’m available for that meeting here? And vice-verse. Clean, informative, graphic interface. Does exactly what I want. Drag the time hand and see what time it will be everywhere that you care about. Perfect for setting up international meetings. - A toggle between standard and military time. - An option to assign my own color choices. But, again, quibbles. Still gets the 5 star for functionality and execution. Worth the price of admission!